Announcement Proud to open RemyleeDesigns on Etsy on March 10th, 2019! My page features over-sized pillows as well as small ones for indoor and outdoor use depending on the model. Please feel free to browse! Thank you. Proud to open RemyleeDesigns on Etsy on March 10th, 2019! 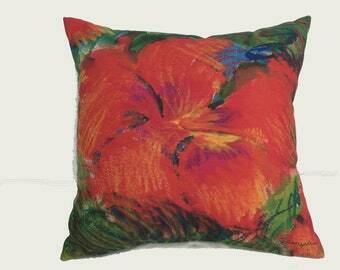 My page features over-sized pillows as well as small ones for indoor and outdoor use depending on the model. Large accent pillow: Palm Spring 30" x 30"
Black Leaf on White (burnt orange trim and back) 22" x 22"
White Leaf on Black (fuchsia trim) , 22" x 22"
Mix and match the Sea Grapes 16”x 16” pillow and the 11”x 16” pillow in the Bali outdoor fabric by RemyleeDesigns.